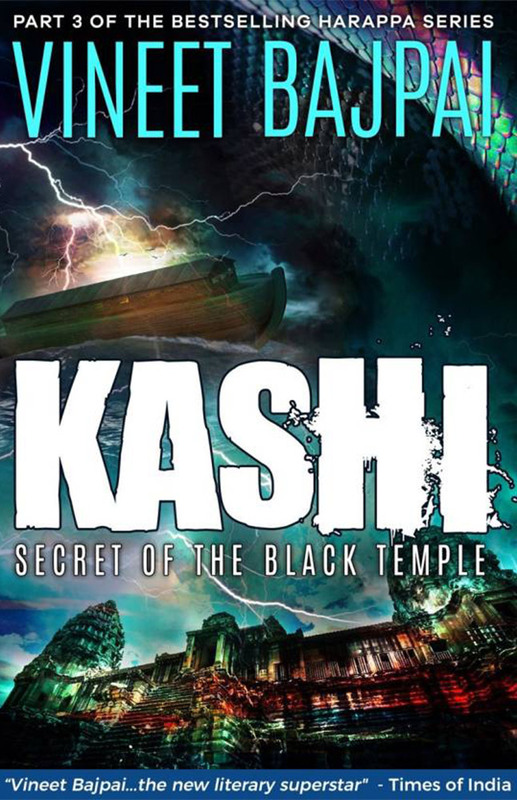 Kashi – Secret of the Black Temple is part 3 of the Harappa Series, written by Vineet Bajpai. It is a fiction novel that blends mythology and history with a modern-day thriller. 1699 BCE, the Marshes of Aryavarta – As the titanic waves of pralay swallow city after city, a final battle for the Ark and the Earth begins. A ruthless barbarian-king threatens the very existence of mankind, heralding Kaliyuga – the eon of Kali. 2017, Banaras – A sacred nakshatra erupts in the night-sky as the fateful, prophesied hour arrives. A God-sacrifice turns into a horrific raakshasa-bali, even as the devta uncovers the bloodstained chronicles of a sinister Brotherhood. 762 AD, the Rashtrakuta Empire the mighty Prithvivallabha receives a mysterious visitor from the holy city. The sovereign is entrusted with an ancient secret, setting him on the path of a legendary, impossible quest. 2017, New York City – A sixth-generation billionaire receives a phone call from the Big Man. The Overlords of the New World Order unleash their last lethal bid. Mumbai underworld joins forces with the messenger of the Devil himself. Will Vidyut survive his decisive war with the Brotherhood? What is the gruesome truth behind Europe’s 14th century Black Death? Read on to witness the final war between light and darkness, good and evil, Gods and demons. Kashi is the sequel to the first two books of the series, namely – Harappa – Curse of the Blood River and Pralay – the Great Deluge.